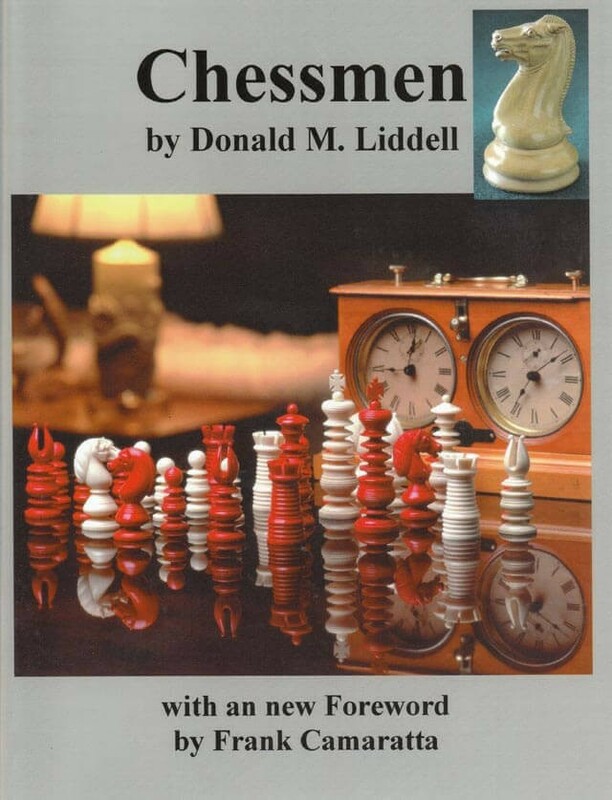 The author begins with the evolution of the chessmen and traces their evolution as the game spread throughout the known World. A short introduction to chessmen from the earliest times is followed by chapters on the impact of Geography, Religion and politics on the design of the chessmen. In these pages, the reader will find fascinating photographs and sketches of the earliest known chessmen. The section on Chess in Art and Archeology by the late collector and accomplished Architect John F. Harbeson of Philadelphia will be of particular interest to the reader. His observation in is opening sentence: All forms of art, all manifestations of the creative impulse, record the life of the civilization which produced them, is very revealing and goes directly to the heart of this work. A chapter on famous Collectors and designers of chessmen, as well as sets owned by significant historical figures, such as Napoleon Bonaparte, along with some amusing anecdotes, makes for some light but interesting reading. There are even the scores of two games allegedly played by Napoleon. There are sections devoted to the crafting of chessmen in various media, including ceramics, metal, bone, ivory and wood. Some famous resorts, such as the Cafe de la Regence, are visited and their relevance to chess history explored. Interestingly, the oldest chess club in the United States seems to be the New York Chess Club which held its meetings at the Old City Hall in 1801, and the Athenaeum in Philadelphia, which still houses some of the chess artifacts from those early days.